Dear kids, you did a great job. 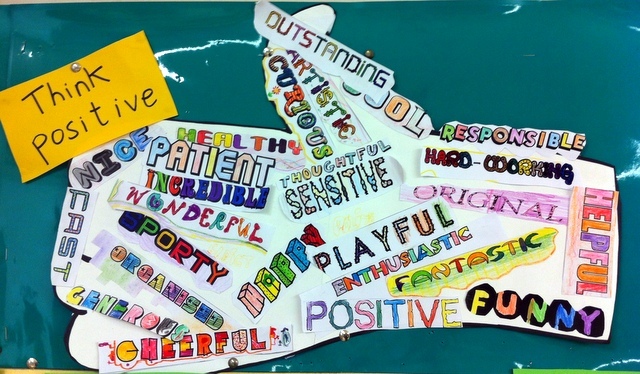 Let's review some of the words that describe positive qualities in ourselves! 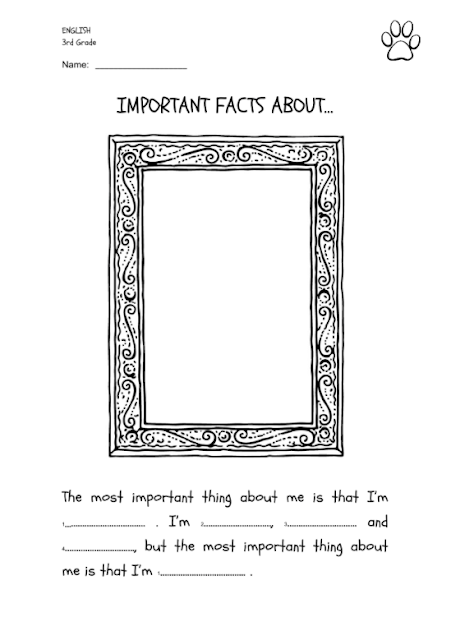 We used "The Important Book" (by Margaret Wise Brown) to learn about patterns. As a group, we had to describe some objects to practise the pattern of the text (The important thing about a ... is that ...). Then kids wrote positive comments about themselves for the descriptive words and made a class book. They added their photos too! Then we shared the book with a French partner school for an eTwinning project.